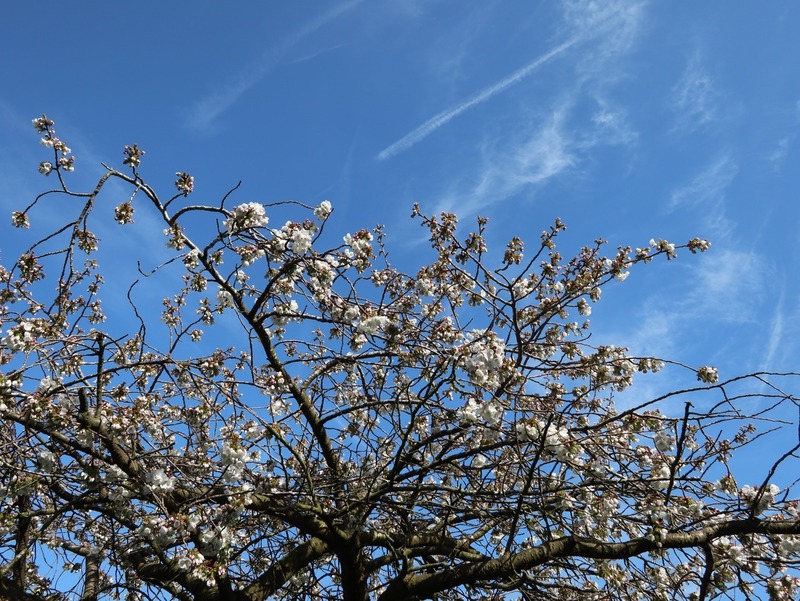 March 26th – A full three weeks earlier than last year, the cherry blossom is coming out on the industrial estate where I work. Returning from Telford at lunchtime, I noticed the pinky white flowers catching the sunlight. 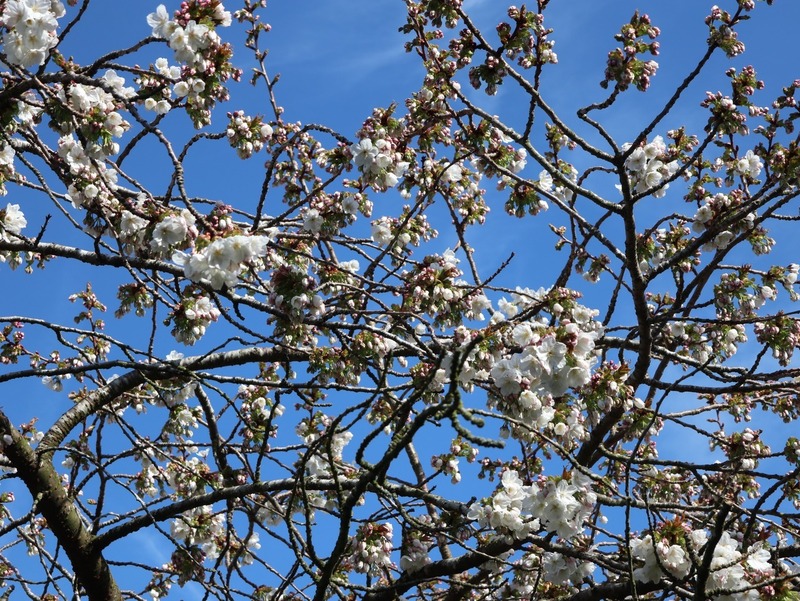 Then I looked around, and all the other ornamental cherries on the estate that I could see were flowering similarly. Against the fine china blue sky it was a wonderful, uplifting sight. This spring is early, but I’m not complaining about that at all! I just wish it would warm up a little now.